After 50 years of winemaking Rob thinks he’s finally starting to “get the hang of it”. Those who know and love his wines know he well and truly got the hang of it a long time ago. 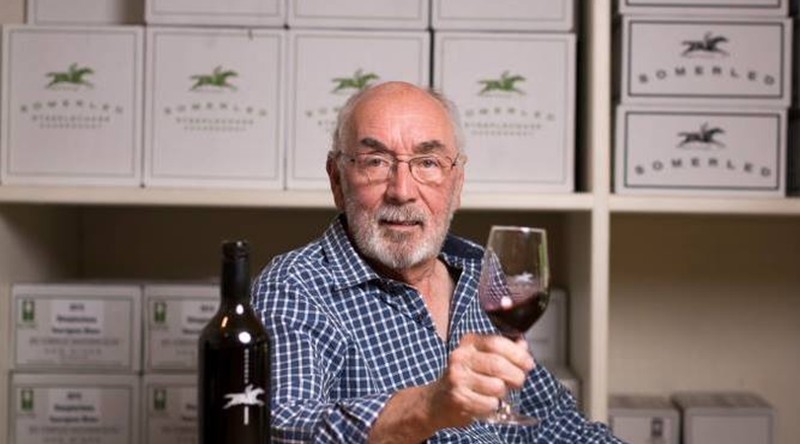 It may or may not be Rob’s birthday coming up next week, so what better time to honour this great wine-maker with a post dedicated to his 50 years. How many times have you fallen in a fermenter? Just once. And it wasn’t as traumatic as it sounds! It was at Penfold’s in Nuriootpa, when I learnt the lesson that a plank across an open fermenter should always be attached at both ends. It was a red fermentation which had only just started so the must was quite dense, meaning I didn’t sink any further than my waist. Fortunately, we lived across the road then, so I could pop home and get changed. Unfortunately, though, I ruined a beautiful pair of handmade (by my Auntie Madge) woollen socks! OK… so, maybe that wasn’t one of the important questions! How has the style of wine changed over your 50 years – what was popular in the market when you first started? 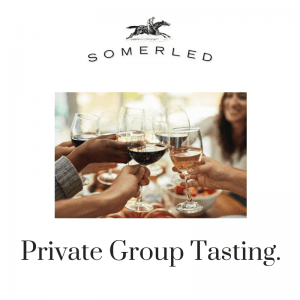 Fortified wines were strong – we almost had to fight the fortified wines makers to get access to fruit. Table wine was only just starting to become really fashionable. Rieslings changed from wines which spent a lot of time in the winery (in barrel) to something a lot fresher – it was almost a race to see who could get them into bottle the quickest. They became a dominant force in the 70s. Sparkling wines were mediocre at best. We had very little access to Pinot and Chardonnay back in those days. It just wasn’t grown here. Just in Coonawarra. For that reason, they were usually made from a neutral variety like semillon. Riesling was also used. They weren’t made in the full traditional method – while they were bottle fermented, they were then transferred into pressure tank and filtered back into bottle. Sparkling red wines were probably better than whites back then. Seppelts Great Western and Minchinbury were the two big producers in the early 70s. They were probably doing 50% red and 50% white. Although with the advent of Cold Duck (what a terrible name!) which was a sweet sparkling red produced by Kaiser Stuhl in the Barossa it became undignified to drink sparkling red. Which was your toughest vintage and why? Definitely 2011. An area like McLaren Vale was not quite as badly affected, but badly enough that we didn’t produce a 2011 Shiraz. For those of you who are unfamiliar with what happened in 2011 – it absolutely bucketed down in January and February. In some areas the amount of pre-vintage rain was around 10 times the average. This created ideal conditions for disease, rendering a lot of South Eastern Australian fruit useless. We did, however, produce a 2011 Sparkling. It was the first time we took fruit from Paul Henschke – I remember walking through the vineyard and seeing not even one mouldy bunch. No one really knew what they did differently, but whatever they did it worked! My preference to pick nice and early also helped. I also managed to secure a small amount of Chardy, but every second bunch needed to be dropped on the ground due to disease. Picking was a long and expensive process, so we took what we could get that year. I was able to make a Sauvignon Blanc, but it’s an early variety so I was able to get to it before the damage was done. Most vineyards that year were a complete write-off. Do you have a favourite grape variety? All of the really good varieties have so much to offer, I can’t single one out as being super-duper. Shiraz – not only because it’s a good variety in Australia and so available. It seems to be less dependent on having a perfect microclimate. Cabernet – but finding high-quality fruit is difficult. Coonawarra does it more consistently. They have super cabernets year after year. Chardonnay is a variety that has got so many facets to it. It’s always fun fiddling around with a variety like that. Is there a variety that you would like to work with that you haven’t so far? Nebbiolo – one of the best wines I have ever come across was an Italian Nebbiolo. 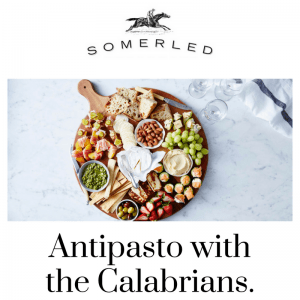 If you couldn’t drink a Somerled wine what would be your next choice? Given your long career, what would be your one best piece of advice for other winemakers? I wouldn’t have said this five years ago but basically to build on what has been done before. There have been so many great people who are skilled and dedicated and with all of the advances we’ve made over so many generations, it seems ridiculous not to build on that and make it more consistent – both in winemaking and in the vineyard. Also… don’t be different just to be different. What’s the most memorable wine you’ve ever tasted and why? 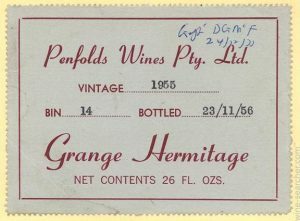 ’55 Grange – it got so many trophies and gold medals you can’t fit them on the label. When I was first at Magill one of the jobs I would do often was to go down to the tunnel to get a couple of ’55s. I would use a 2 L glass beaker as a decanter and I remember the whole lab was filled with the aroma of this fabulous wine. Even though, back then it was only 14 years old. The Nebbiolo from Italy was way up there as well. It was a 10-year-old Marcarini that I came across in a restaurant in Alba in 1999. It was much lighter than Grange but so incredibly complex and delicate. While we’re on the topic, how long should you keep wine for? Any red worth its salt will go 10 years and should be at a stage by then as being about as good as it gets – it should have a lovely balance between the primary fruit flavours and the secondary flavours. That’s not to say that the wine won’t still be lovely 5 or 10 years on, but the risks will be greater. Absolutely store it for longer but more for academic purposes rather than thinking it will get better. The biggest single thing is the availability of sophisticated technology – the prevalence of stainless steel tanks, high-quality filters and presses, etc. Back in the day, we used wax-lined concrete tanks. They were underground which is good for temperature stability but variable in quality. Wine would find it’s way behind the wax and interact with the cement render and would go off. Thousands of gallons of wines would be discarded. Attention to detail in the vineyards seems much higher too. We now have access to targeted product for pest and disease control. The Australian Wine Research Institute has conducted practical and relevant research work, designed to help. They also have the ability to get the message through to the industry. Also, there has been such an improvement in the overall consistency of wines. The market has grown and there is now more competition. Per capita consumption started at around 8 (litres per person) then within 20 years, it was around 20 litres. According to Wine Australia, it was 29.6 litres per person in 2016. Do you find winemaking hard work? I’m sure for people who have a small operation who do such a lot of the physical work themselves it would be hard to keep going under the mental and physical pressure of it all. Using a contract facility, I no longer have to do the heavy physical work. I’m happy to hand over the physical job, but working out how to the get the best out of the fruit is something which occupies the mind quite a bit. Do you think that it’s a good thing that young people are taking wine so seriously, or are they even taking it too seriously? I think it’s fantastic that they do – as time goes by that absolute passion will tend to ease back a bit and will become a basis for enjoying wine forever. It’s very infectious. 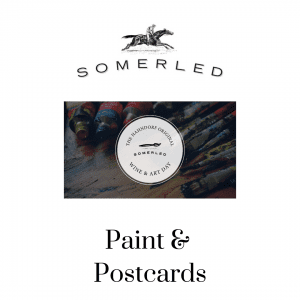 It’s hard not to get excited when young people wax lyrical about Somerled wines in particular. It gives me hope for the future of the industry. However, it is always good to have a degree of scepticism – instead of accepting everything that is said to them, it is always good to question things. Especially when it comes to low-intervention wines. Also, I find that young people tend to put 10 different descriptors against a wine, but that’s not necessary. They are better tasters than I am if they can find all of that in a wine! 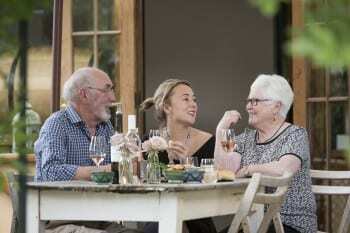 What wine do you open most often when the family’s around? Generally Shiraz – I’ve got a fair store of wines up to 20 years old that I can pull out. It’s a consistently rewarding wine. What will you be opening on your birthday? 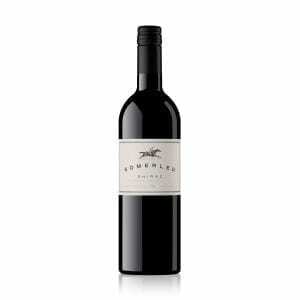 A 2004 Kangaroo Island Cabernet and perhaps a 2001 Somerled Shiraz if there is one left. Happy birthday Rob! Wise words from a master at his game. Enjoy the Flinders. Thanks for your message Ang… will pass it onto Rob! So the 29.6 litres is per month right? Ha ha ha!! at least! Next Post Spring is sprung!